Keeping your home comfortable throughout the year can sometimes be a challenge but not if you have a ductless heating and cooling system. 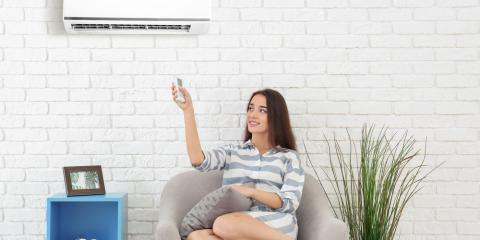 As the team at Montgomery Heating & Aire in Gassville, AR, explains, ductless mini splits offer several distinct advantages over a traditional central HVAC installation. Here’s a closer look at how these units will make a difference for your home. Split systems offer significant flexibility for cooling and heating your home. Many homes with programmable thermostats each use up to four “zones.” This allows homeowners to have greater control over which areas are heated or cooled at any given time and customize their system to fit their needs better. A wide variety of indoor units are also available, including floor-standing and wall-mounted options. While the installation of a standard HVAC system could take several weeks, mini ductless systems are significantly easier to install. Only a small hole is required to connect the indoor and outdoor units, so no major demolition or rebuilding is necessary to complete the work. Smaller ductless systems can be installed in a single day. One of the biggest advantages of a ductless heating and cooling system is that it will help you save money in the long run. The use of multiple “zones” means you can turn off a unit when a certain part of the house isn’t occupied to save energy. Ductless systems also require less power to operate; they don’t experience the energy loss that occurs when using ductwork. 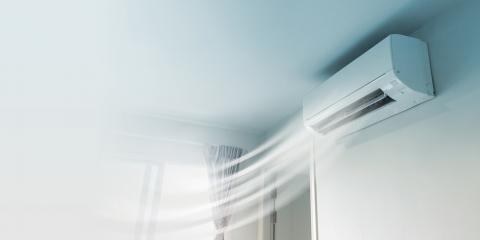 Whether you’re interested in installing a ductless heating and cooling system or need air conditioner repairs, you can depend on Montgomery Heating & Aire to get the job completed. With over 15 years in business, their team combines high-quality products and award-winning service to help your family stay comfortable. To learn more about their services, visit them online or call (870) 435-1501.